You can trust Priority Trees with all of your hedge trimming needs. 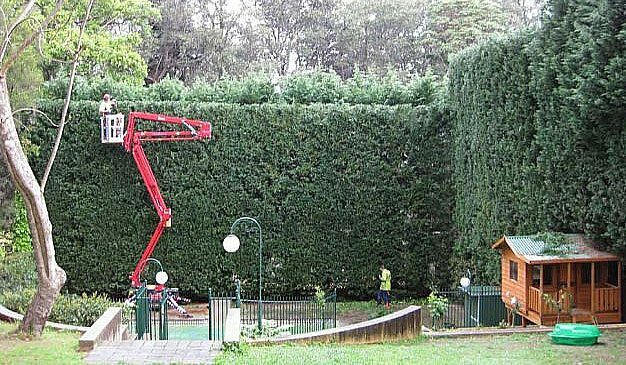 We care for some of Sydney’s most beautiful hedges. Hedges are often grown for screening purposes and their maintenance is critical to retain this as well as give them good shape and form so they are attractive to look at and become a feature of your garden. Hedges come in all shapes and sizes and depending on the plant species require more or less trimming to keep them looking good. Often because of the height of these hedges for privacy reasons they require more than just a stepladder to trim them. These situations are sometimes above and beyond what you the property owner or your Gardner are able to handle safely. We not only have the equipment to handle almost any hedge we also have the experienced staff to give you a fantastic looking hedge. Hedge trimming is a skill that is developed over time and we are selective with staff that carried out hedge trimming for this very reason. We are able to provide you with regular fixed price hedge trimming program to ensure that your hedge always looks it best. Alternatively if your hedge has grown out of control and you need it trimmed back into shape we can help.